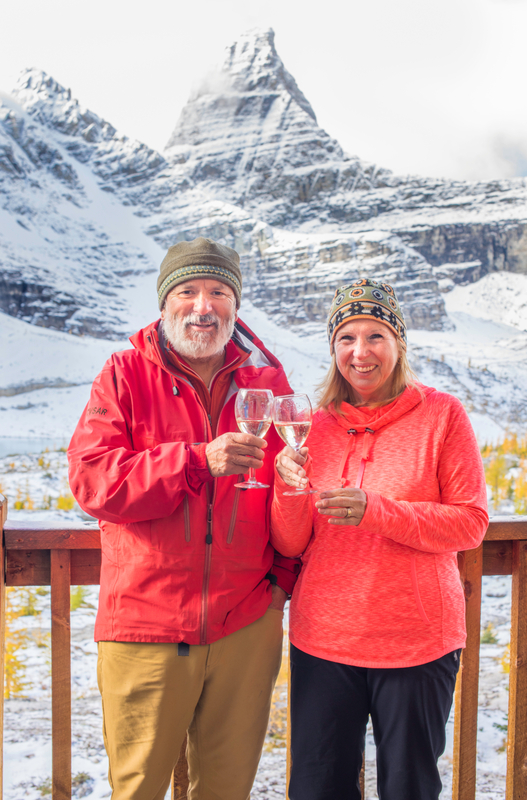 Thomas Grandi and Sara Renner are the new owners of Talus Lodge. We could not have found a better team to take over our dream project. Sara and Thomas and family are mountain people and I am sure Talus will shine even more under their stewardship. We wish Sara and Thomas every success with Talus Lodge. Since the beginning, Joanne and I have been totally determined to make Talus Lodge a small, cozy, safe destination for guests and friends. The stunning beauty of the setting does the rest. The experience that we offered was a total immersion in wilderness for very small groups. We leave the setting intact for future visitors. Joanne and I have had the pleasure of hosting people from all walks of life at the lodge and our lives have been enriched in learning and being exposed to different viewpoints and life experiences. The exchange of ideas during individual open and frank conversations has been one of the greatest experiences for us. For Joanne and I the individuals we met seemed to be at ease being addressed by their first names. I am sure that for many it was a pleasant experience to be away from their busy lives.